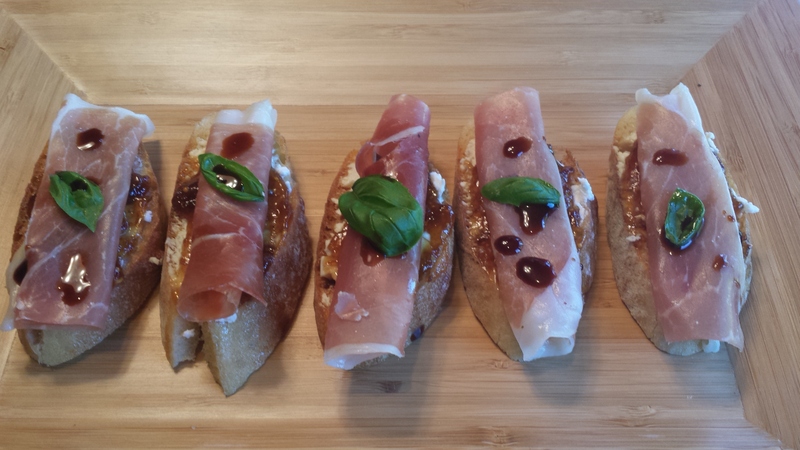 A simple and elegant appetizer – Crostini with fig jam, prosciutto, basil and balsamic. I am a contributor to another blog called Cooking with Convection Steam. I will be focusing on entertaining. Please check out my first post about crostini. Plus, learn all the wonderful things about cooking in a convection steam oven. It is a great site with lots of great information and yummy recipes. This entry was posted in Appetizers, party and tagged appetizer, balsamic, basil, chef ro, Chef Rochelle Barcellona, convection steam, crostini, fig jam, prosciutto. Bookmark the permalink.